Digital PCR has become the method of choice to provide precise absolute quantification of nucleic acids. The big advantage over conventional qPCR approaches is that digital PCR does not require any normalization to controls (either to a reference or to a standard curve). * Digital droplet PCR works on the premise of dividing a sample into small compartments or droplets, each containing a single molecule of interest. The droplet's fluorescence is examined. If the fluorescence reaches a cutoff the droplet is then defined as positive, if not it is defined as negative. The concentration within the sample as a whole is then calculated using the proportion of positive and negative droplets and Poisson statistics. Droplets that are not clearly defined as negative or positive are called rain droplets. 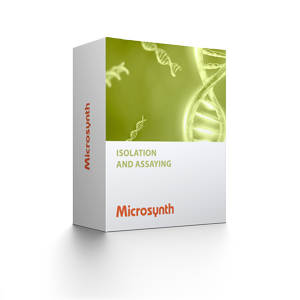 Currently Microsynth is offering a digital PCR analysis service for R&D, in-process control and release applications. Diagnostic applications are coming soon. Every digital PCR project is different. Please ask our application specialists for your quote. Expected number of samples (single analysis, repeated analysis)? Test samples available? Especially in case of larger projects, we prefer to perform initial testing in order to make a good bid.